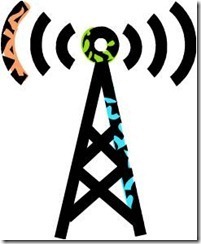 Wi-Fi Assist – What’s All The Fuss About? If you own an iPhone and are using iOS9, you’ve probably already heard about Wi-Fi Assist. It’s a new feature that’s been getting a lot of attention lately, especially with some reports stating that it could cost you a lot if you have a limited mobile data plan. 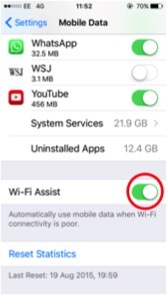 This is how it works: if you’re using your iPhone at home and wander outside losing your Wi-Fi signal, Wi-Fi Assist will allow your mobile data to kick in so you don’t lose connection. It’s designed to work only when your Wi-Fi signal is too weak to deliver content. To be honest, before it existed you would provably have switched to mobile data anyway, therefore it’s unlikely to result in higher charged than you would normally incur. Of course, as with all the features available on your iPhone, you do have the option to disable Wi-Fi Assist. All you have to do is follow these simple steps. 2. Click on “Mobile Data”. 3. Scroll down past your apps, right to the bottom where you’ll find “Wi-Fi Assist”. Switch it to off using the toggle. 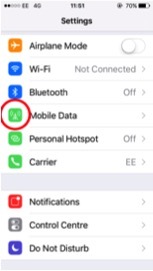 If you have a data cap, although unlikely to cause you excessive charges, it could be wise to disable this feature, just to be on the safe side. 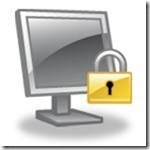 MPM Computer Consultancy provides IT Services, Support and Training to sole traders and small businesses in Ipswich. Bury St Edmunds and surrounding villages. 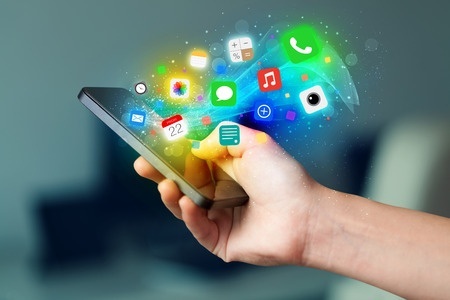 Author itsupportbloggerPosted on December 16, 2015 December 15, 2015 Categories Data Management, IT help, Mobile phone help, smartphones, WiFi, Wireless connectionTags iOS9, iPhone, mobile data, wi-fi assistLeave a comment on Wi-Fi Assist – What’s All The Fuss About? I would love to be able to tell you how to prevent anyone from hacking your router, but there is no fool-proof method. In fact I scoured the internet in the vain hope of finding a definitive answer, but that search wasn’t altogether fruitless, as it unearthed an interesting post on netsecurity.about.com. From that article, I have listed below 4 tips that will help you make your wireless router harder to hack and hopefully fend off any potential threats. 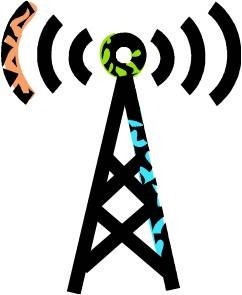 Without WI-FI Protected Access (WPA2) encryption your wireless network is wide open to hackers. Even using outdated Wired Equivalent Privacy (WEP) security isn’t enough to keep them at bay. That’s why you should check your router manufacturer’s manual to find out how to enable WPA2 functionality now (a firmware upgrade may be needed for older routers). Plus, it’s important to make a strong SSID (wireless network name) because using your default network name is easy to hack. Create something that’s long and random. Admittedly, that will make it hard to remember, but better that than giving the hackers easy access. Your router’s built-in firewall will help make your network less visible to hackers, It’s also best to test it to make sure you’ve configured it correctly. Gone are the days when you have to be a large corporation to afford a Virtual Private Network (VPN), now one can be yours for a small monthly fee. A personal VPN is one of the best ways to prevent hackers from attacking your network because is anonymises your true location with a proxied IP address and adds a wall of strong encryption to protect your network traffic. When this feature is disabled only someone who is physically connected to your router via an Ethernet cable can access the admin features of your wireless router. Of course, there are some devious and persistent hackers out there who will penetrate your network whatever you do, but following the advice in these tips will make your networker a much harder target to crack. When you get your wireless router, if you just get it out of the box, set it up and rely on the default settings for your security, you’re in big trouble. This is because the default settings leave your network wide open for anyone to use or, if they are that way inclined, exploit. Plus, when setting up your network leave your security off until you know it’s working properly. It’s a lot easier to troubleshoot any problems you may encounter before you throw security measures into the mix. As soon as it’s all working properly, it’s time to get your security set up. The level you go for is entirely up to you, but make sure you read the instructions for your specific router. Here are a few basics to familiarise you with some of the security terminology. This is the name that is sent out to identify your network. You can turn off broadcasting this name if you want to make it more difficult for people to find your network. Make sure you change the name from the default setting to avoid people connecting to you in error (especially if your neighbour happens to have the same default SSID name as you). Use something that will identify it as being yours, such as your name or address. Every network adapter has its own MAC address, similar to a serial number of a computer. You can use this to tell your router which computers it is to connect to, therefore preventing others from connecting to your network. There are many different types and levels of encryption out there, with new ones being developed all the time. A good minimum level to go for would be WEP 128 or WPA. You can find out how to change these settings in your router’s manual. A lot of routers today have a built-in hardware firewall. However, to give your security a real boost, you should also think about using an anti-virus product with a built-in firewall such as Bullguard. At the end of the day, if someone is intent on getting into your network, the chances are they will. Although it may be impossible to guarantee 100% that no one can gain access, it’s worthwhile ensuring you make it as difficult as possible for them. Don’t leave it to chance, make sure you take the necessary steps to boost your network’s security. Getting to Grips with Your WiFi–How’s Your Signal? In our last post on Getting to Grips with Your WiFi, we looked at how to undertake a network survey to ensure you get the best possible signal. But what happens if, after carrying out a full survey, you still can’t find the ideal location for your router to receive uninterrupted wireless coverage? Well, there are a few other options available to you. This is an option if you have signal everywhere, but just a bit lower in certain spots. The added range of an 802.11N router may be what you’re looking for. If you’re looking for a better range with added speed, your best bet would be to upgrade both your router and adapters. Placed half way between the router and your receiving computer, these units pick up the wireless signal from the router and retransmits it to the rest of the house. However, it’s worth remembering that they can also cut your network speed in half. The theory behind these its that the antennas focus the transmission into a more direct pattern, therefore improving the strength of the wireless signal where you need it. Available in both wireless and wired versions, these adapters send network signals through your home’s electrical wiring to rooms that are out of range. Consisting of two plug-in units, one connects to your current router and wall socket, while the other plugs into the wall socket of another room. This works in a similar way to the powerline, but through your existing phone lines in your home. You could also try adding a second or third Access Point (Wireless Router set to AP mode) to your network. All of these options can be used in isolation or in combination with each other, giving you a vast range of options to find which on works best for you. Your exact needs will depend on the layout of your home, so if you’re unsure which way to go, contact your local IT specialist who will be able to advise you accordingly. Author itsupportbloggerPosted on December 14, 2011 January 28, 2014 Categories IT help, IT Support, IT Troubleshooting, WiFi, Wireless connectionTags IT advice, IT Troubleshooting, wireless connection, wireless connection problems, wireless troubleshootingLeave a comment on Getting to Grips with Your WiFi–How’s Your Signal? Wireless working is great…when it works. Locating the specific problem can be a complete nightmare. But with a bit of time and patience, you can succeed without it costing the earth. Before you go splashing out on expensive antennas, boosters and repeaters, take a look at your home and carefully consider the best location for your router. Make a note of all the possible locations for your router, bearing in mind it is usually recommended that you place your wireless router as high as possible in a central location. Depending on your broadband service, the wiring in your house and the ability to run extra Ethernet cable, there could be several possible locations for your router. If you have DSL and your house already has phone jacks in every room, any of them could be used as potential locations. But if you use broadband through your cable company, your choices will be far more limited. Interference is one of the main causes of wireless network failures, whether it comes from devices in your home or a near neighbours’. A prime culprit is the 2.4ghz cordless phone because they operate on the same frequency as most wireless networks. If you have one, it might be wise to replace it with the newer 5.8ghz model or older 900mhz type. But it’s not just cordless phones, interference could also be caused by wireless alarm systems, microwaves, wireless video and audio systems, baby monitors etc. A great way of evaluating your home before setting up your network is by borrowing a wireless laptop. This will be able to show you the signal strength of all nearby networks. You can also download and use tools such as NetStumber. Plug your router into any electrical socket (without connecting it to your router or installing it) and it should start to transmit. Then, walk around the house, with your laptop to check out the signal strength in different locations. You can repeat the process, moving the router to different areas to find the best location. But what happens when you’ve tried all of that and still can’t get a good signal? Well, that’s the subject of our next blog post, so stay tuned to learn more.